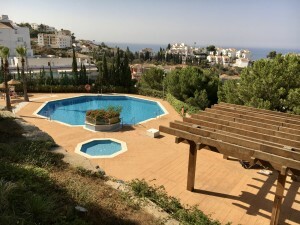 Modern style open plan villa located within Los Arqueros Golf Resort on the Ronda road in Benahavis. 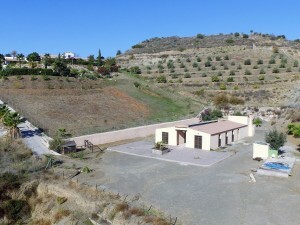 Build 2011, south to west facing, private and quiet. Views to the valley and the mountains. Main floor: Entrance hallway leading to the living area with high ceilings and fireplace and the fully fitted open plan kitchen with dining area. Guest bedroom en suite. Direct access to covered and open terraces, the private heated pool and a big flat garden. First floor: Master bedroom suite and two guest bedrooms en suite. Lower floor: Salon with patio and two guest bedrooms en suite, games room, garage for 2 to 3 cars. 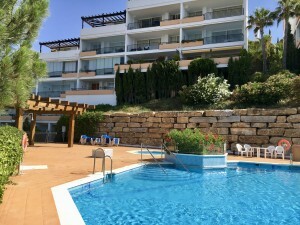 Close to all amenities, less then 10 minutes to Puerto Banus, San Pedro and the beach.